French Farmhouse Design Inspiration & House Tour! Prepare yourselves for exclamations of OH, THAT’S DARLING and HELLOOOOOO, LOVELY! 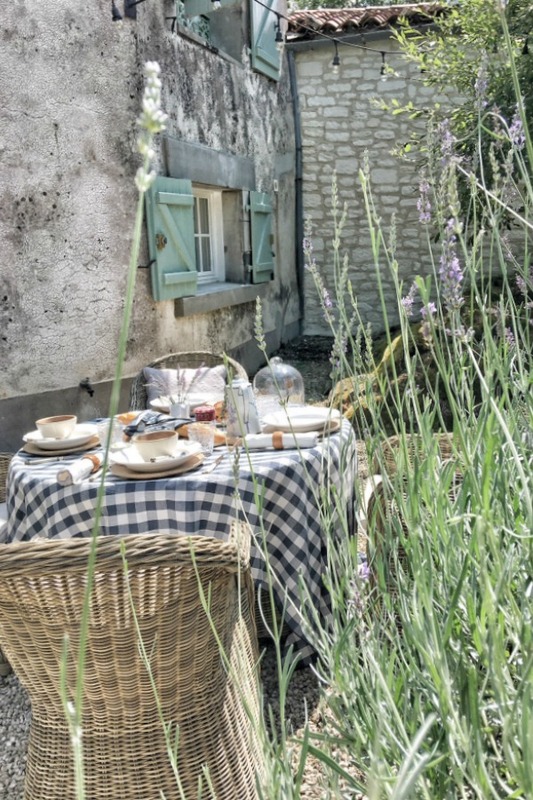 This French Farmhouse Design Inspiration contains all of the ingredients of a winning timeless and tranquil fantasy, and I even have exact sources for many of those ingredients. French Farmhouse Design Inspiration. Photo: Vivi et Margot. 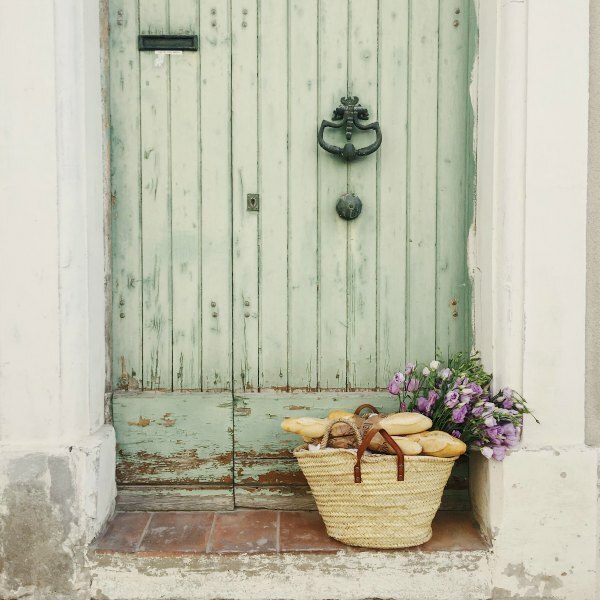 Last week, it was my pleasure to connect with a kindred spirit who dared to take her passion for all things French farmhouse to the next level. 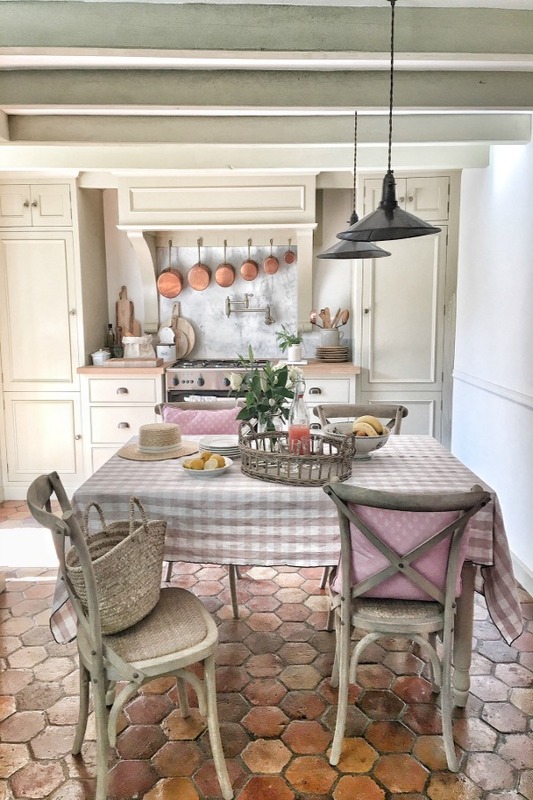 I know you will delight in both the decor and lifestyle inspiration you’ll find here as you tour the beyond charming French farmhouse of new-friend-to-Hello Lovely, Charlotte. These never before published photos are exclusively for us, and I’m so grateful to her! 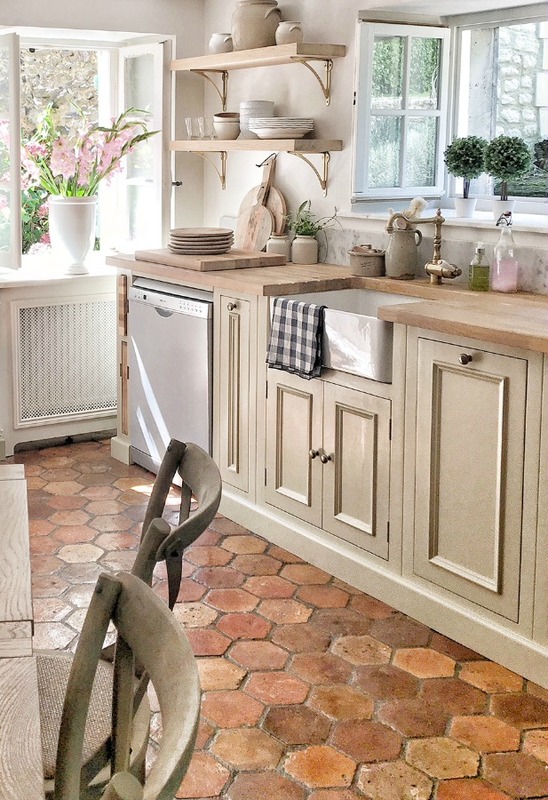 French farmhouse kitchen design inspiration. Photo: Vivi et Margot. Custom artisan pendant lights: Vivi et Margo…FIND HERE. Check Tablecloth (Maison de Vacances Blush Check)…FIND HERE. Basket…FIND HERE. Kitchen design by Neptune Kitchens. Kitchen cabinet color (Neptune – Limestone). Antique reclaimed terracotta tile floor. Table: Neptune. Chairs: Maisons du Monde (France). Find a lovely farmhouse table RIGHT HERE and similar wood chairs RIGHT HERE. There’s much more than a tour in store for you, friends. 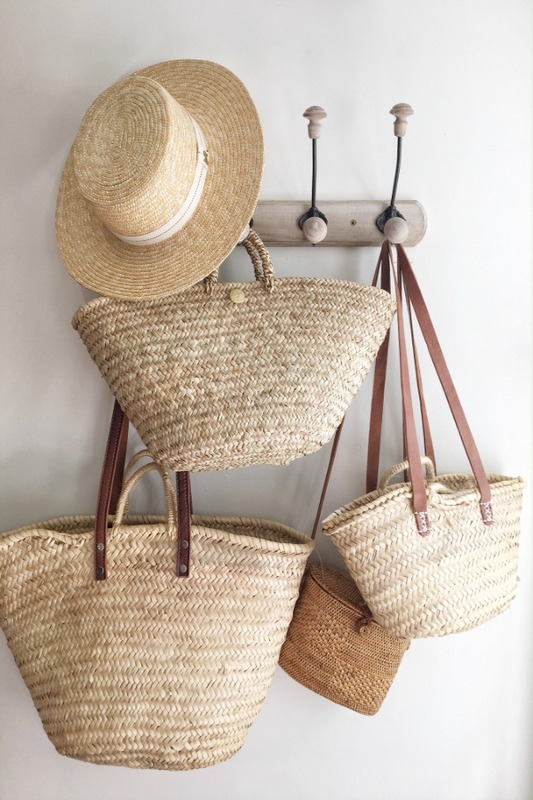 You will also discover an interview and a lovely, new-to-me, timeless, and tranquil French farmhouse shopping source: Vivi et Margot. 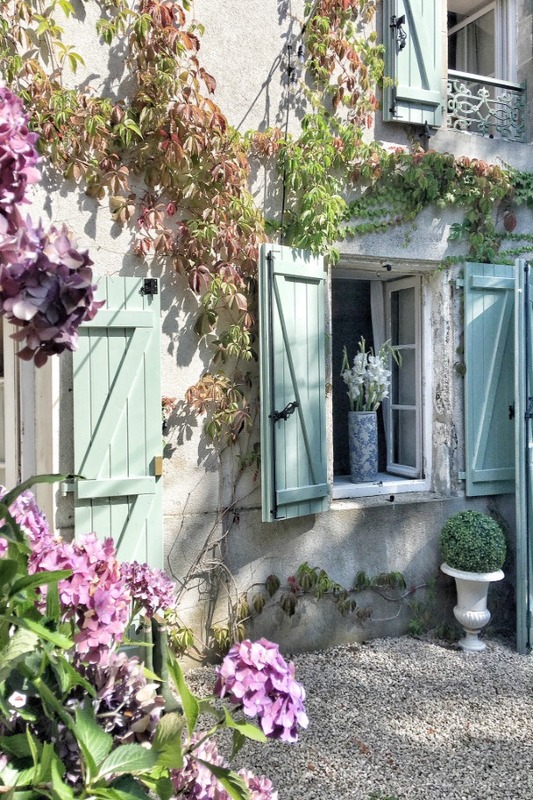 French farmhouse exterior inspiration…in case you love green shutters! Photo: Vivi et Margo. A fairytale setting for a family’s rural France summer home. Photo: Vivi et Margot. Basket: Vivi et Margot. Charlotte Reiss grew up in Marlborough, Wilshire in England before her career took her to London, NYC, and LA, where she currently heads a successful modeling agency (The Lions) and raises a young family with husband Sky Reiss. Sky is in the construction business, and a few years back, he and Charlotte felt a surge of inspiration upon viewing an episode of HGTV’s House Hunters International. 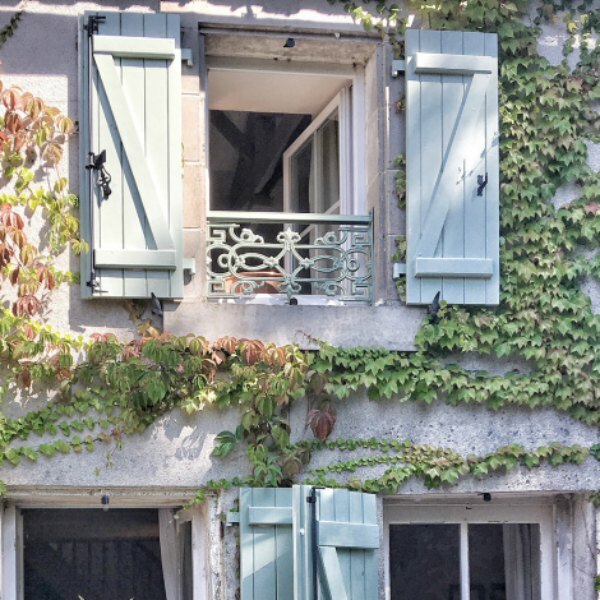 French farmhouse exterior inspiration…keep reading for the green color of these charming shutters! Raise your hand if ever you get the itch too from watching the show! But. That. Pink! Basket: Vivi et Margot. Photo: @Evgenia.Prinsloo, courtesy of Vivi et Margot. 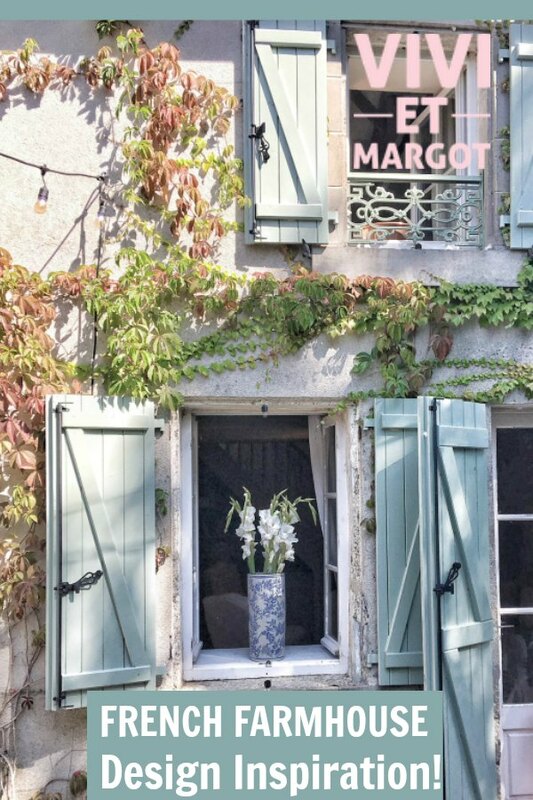 The dream of buying their own farmhouse in France to make sweet-as-macarons memories with family not only became a reality near Bordeaux, but thanks to Instagram, it very naturally led to a new venture for Charlotte: VIVI ET MARGOT, an online shop for French farmhouse finds! 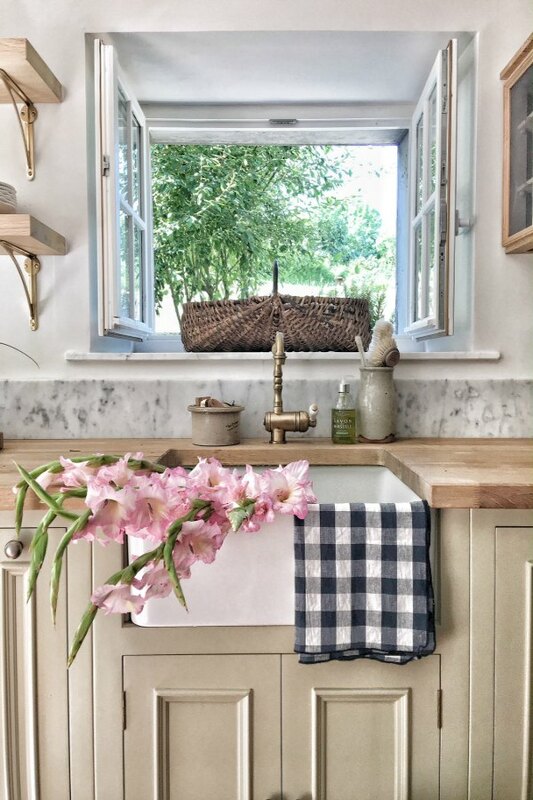 Farm sink and French farmhouse kitchen design inspiration. Photo: Vivi et Margot. Kitchen design by Neptune Kitchens. Dish Towels: Vivi et Margot. Kitchen cabinet color (Neptune – Limestone). For a lovely apron farm sink option GO HERE. Kitchen faucet: Cuissimo. Find similar…RIGHT HERE. 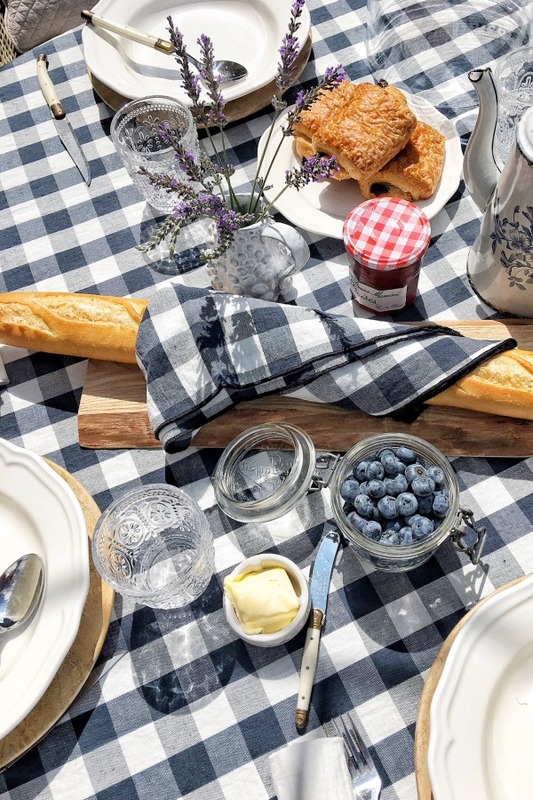 Vivi et Margo is named for the couple’s two daughters and offers a full collection of French wares for home, linens, vintage treasures, and extremely popular French market baskets. The success of the shop has continued to bloom, and in April 2018 Vivi et Margot opened its first brick and mortar in NYC – a pop up store at Marche Maman (Maman NYC at 239 Centre Street, between Broome & Grand, SOHO, NYC). Ahhhhh, lovely French summer living! Baskets: Vivi et Margot. You are livin’ the Hello Lovely dream, Charlotte! Climbing vines on a breathtakingly rustic French farmhouse exterior. Photo: Vivi et Margot. 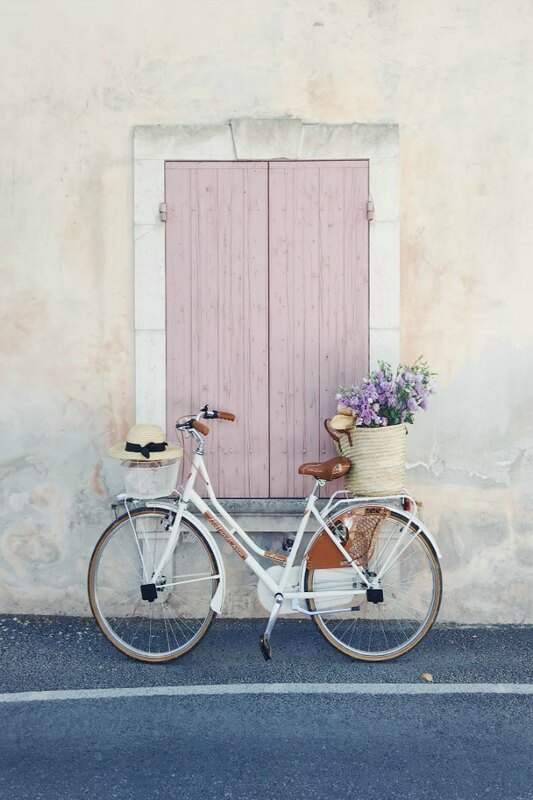 Can you tell us what inspired you to shop for real estate in France? Girls bathroom. Paint color: FARROW & BALL Middleton Pink No. 245. Flooring: Antique reclaimed terracotta tile. Clawfoot Tub: Hudson Reed: FIND HERE. Find more LOVELY TUB OPTIONS RIGHT HERE. 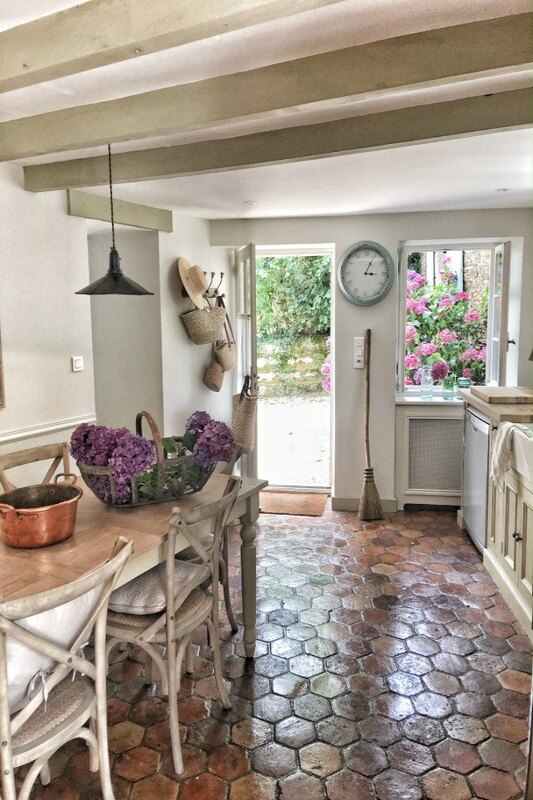 Those beautiful terracotta tiled floors in your farmhouse! Are they original? 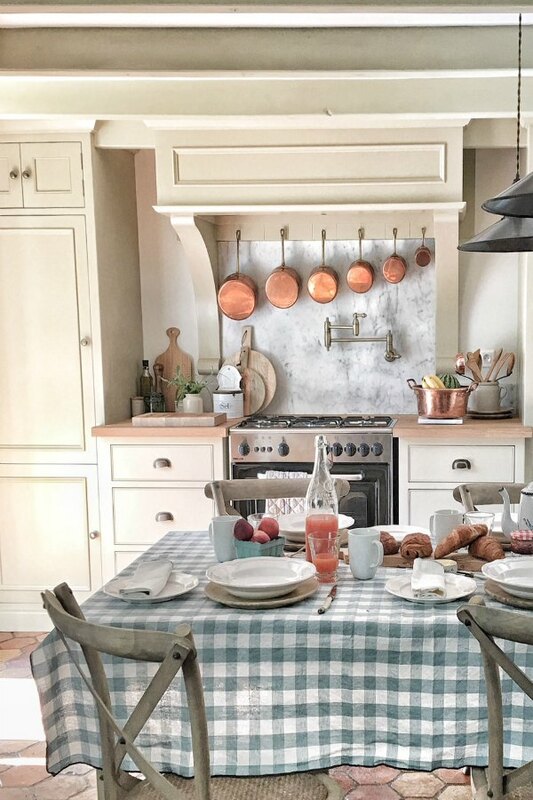 French farmhouse kitchen design inspiration. Photo: Vivi et Margot. Check Tea Towel. Kitchen design by Neptune Kitchens. Kitchen cabinet color (Neptune – Limestone). Wall paint color: FARROW & BALL Strong White 2001. Antique reclaimed terracotta tile floor. Table: Neptune. Chairs: Maisons du Monde (France). Find a lovely farmhouse table RIGHT HERE and similar wood chairs RIGHT HERE. For a lovely apron farm sink option GO HERE. Kitchen faucet: Cuissimo. Find similar…RIGHT HERE. I know designer Kathryn Ireland’s gorgeous book Summers in France also made an impression on you since like Ireland, you are also British and living in LA. Find Kathryn Ireland’s book RIGHT HERE. Rustic French farmhouse exterior with green shutters. Photo: Vivi et Margot. Your home is located in Deux-Sèvres. 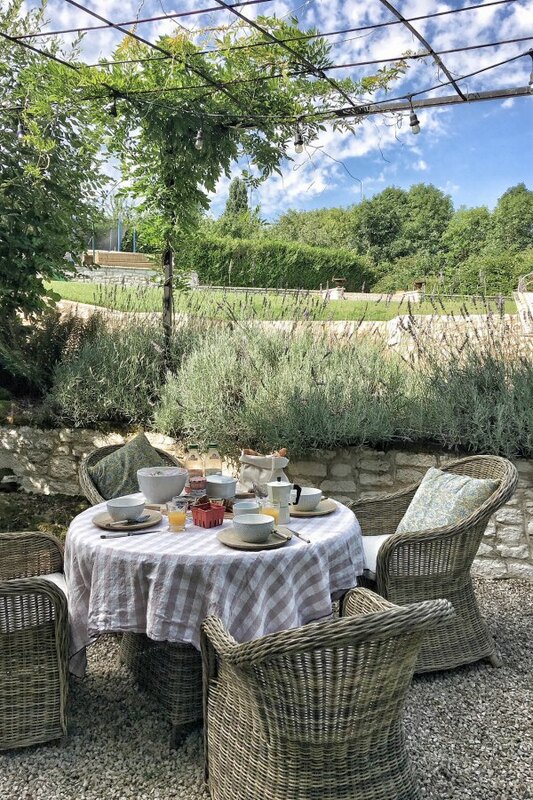 So many of us Americans instantly think of the South of France and Provence as dreamy locations for a vacation home, getaway, or dream home…how did you narrow your search? French farmhouse kitchen design inspiration. Photo: Vivi et Margot. Check Tea Towel. Artisan Light: Vivi et Margot. Kitchen design by Neptune Kitchens. Kitchen cabinet color (Neptune – Limestone). Wall paint color: FARROW & BALL Strong White 2001. Antique reclaimed terracotta tile floor. Table: Neptune. Chairs: Maisons du Monde (France). Find a lovely farmhouse table RIGHT HERE and similar wood chairs RIGHT HERE. For a lovely apron farm sink option GO HERE. Kitchen faucet: Cuissimo. Find similar…RIGHT HERE. Your French farmhouse’s kitchen is so charming! Did it require a lot of renovation? 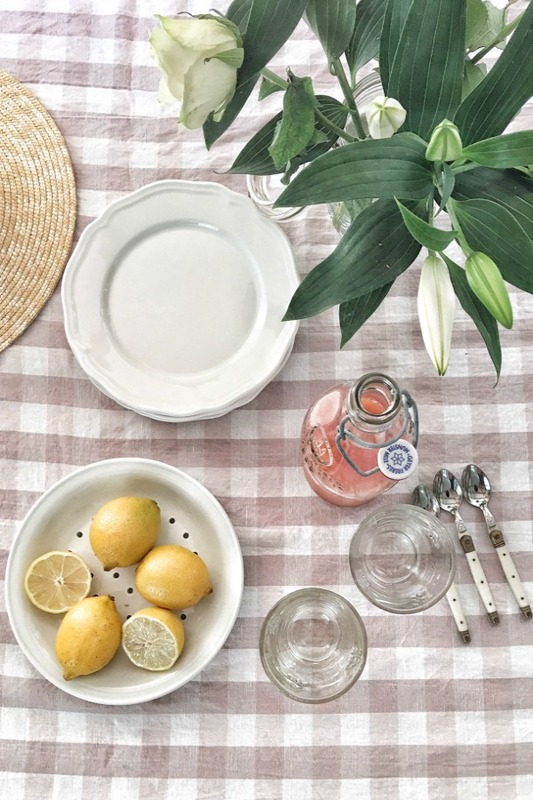 French farmhouse tablescape simplicity. Check Tablecloth (Maison de Vacances Blush Check)…FIND HERE. I love that you are real life renovators like us! I understand your husband is a talented figure in construction and house flipping–was your beautiful kitchen a DIY project? 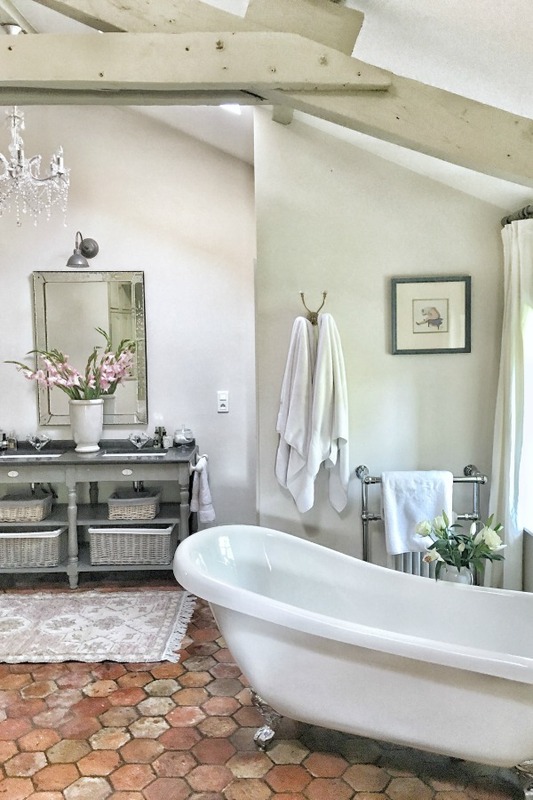 French farmhouse master bathroom. Photo: Vivi et Margot. Flooring is reclaimed antique terracotta tile. Wall Paint Color: FARROW & BALL Strong White 2001. Woodwork paint color: FARROW & BALL French Gray. Clawfoot Tub: Hudson Reed: FIND HERE. Find more LOVELY TUB OPTIONS RIGHT HERE. It’s so lovely, Charlotte, and I can’t seem to get enough of your lovely photography of the space. Is it your favorite room in the farmhouse? So functional and French lovely! Basket: Vivi et Margot. Considering that you bought your dreamy getaway sight unseen…are you enjoying the location now that you have spent vacations here? 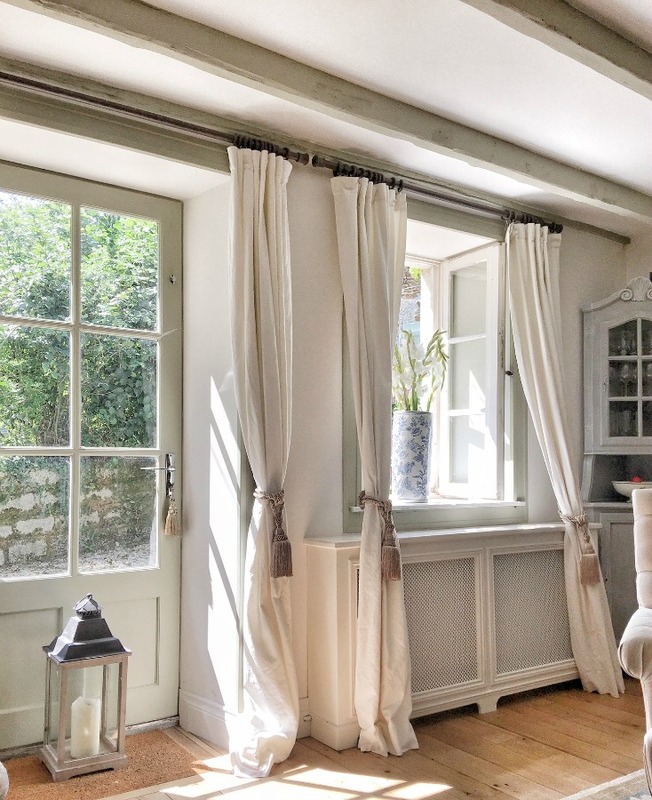 French farmhouse design inspiration from Western France. Now I want to discover Ile de Re! 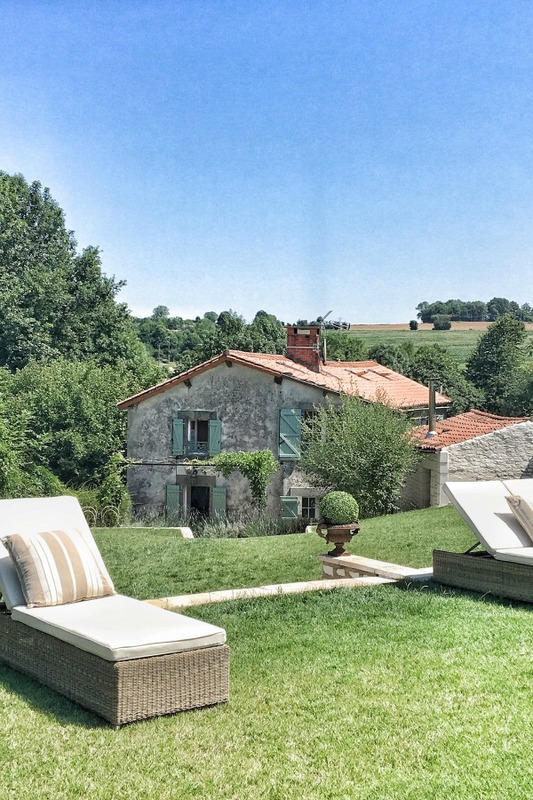 Where would we stay if we want to explore this Western France gem? Maison de Vacances check linens at Vivi et Margot. 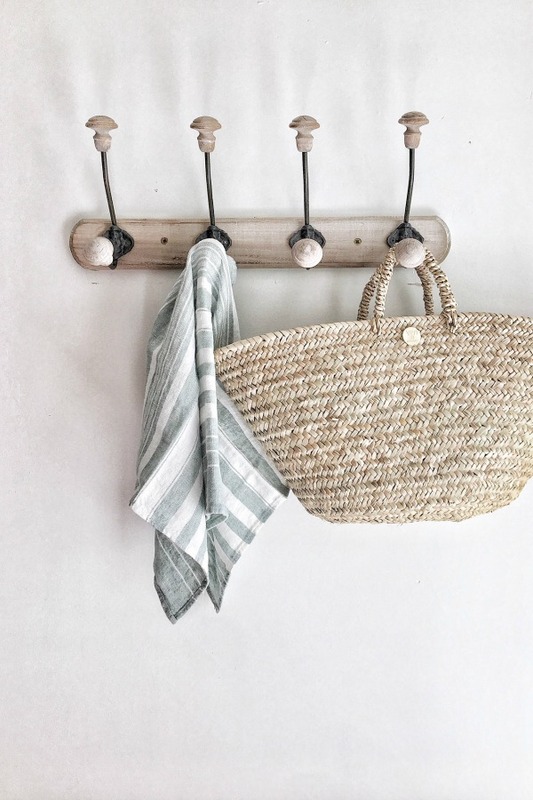 Vivi et Margot is stocked with such a charming mix of vintage decor finds from your travels in France and high quality wares for a French farmhouse inspired home. Did you furnish and decorate your home in France with local finds? French farmhouse living room. Drapery: Pottery Barn (Beligan Flax Linen drapes). Wall paint color: FARROW & BALL Strong White 2001. Paint color of wood beams: FARROW & BALL French Gray. Oak hardwood flooring. How grateful we are to learn the sources of your French farmhouse’s beautiful decor! 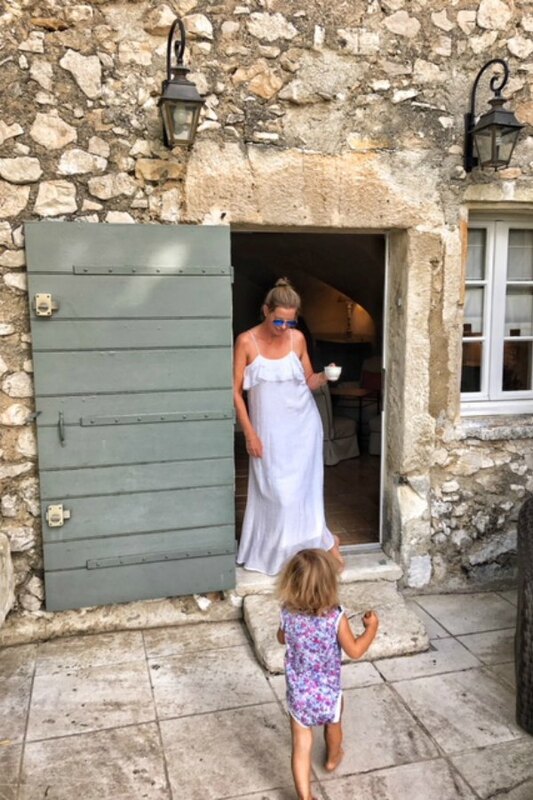 Let’s begin our tour of Charlotte’s summer home in Western France…the tour of the bedrooms, baths, laundry room and living room continues in PART 2 RIGHT HERE since there is so much lovely, and I don’t want you to miss a thing! Also, don’t miss a helpful Shopping & Resource Guide below (courtesy of Charlotte Reiss) for sources of the furniture, decor, paint colors, and more. Dream ride! Basket: Vivi et Margot. Photo: @Evgenia.Prinsloo, courtesy of Vivi et Margot. 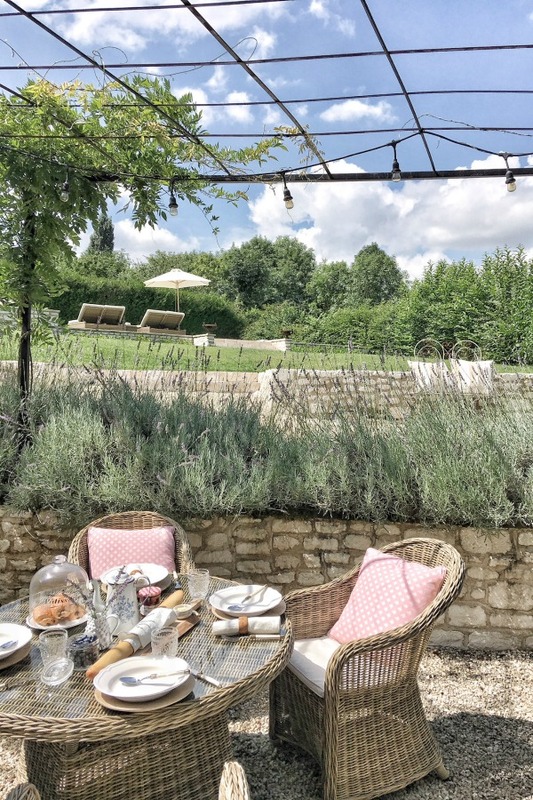 It is so easy to get caught up in the French farmhouse romance, oui? 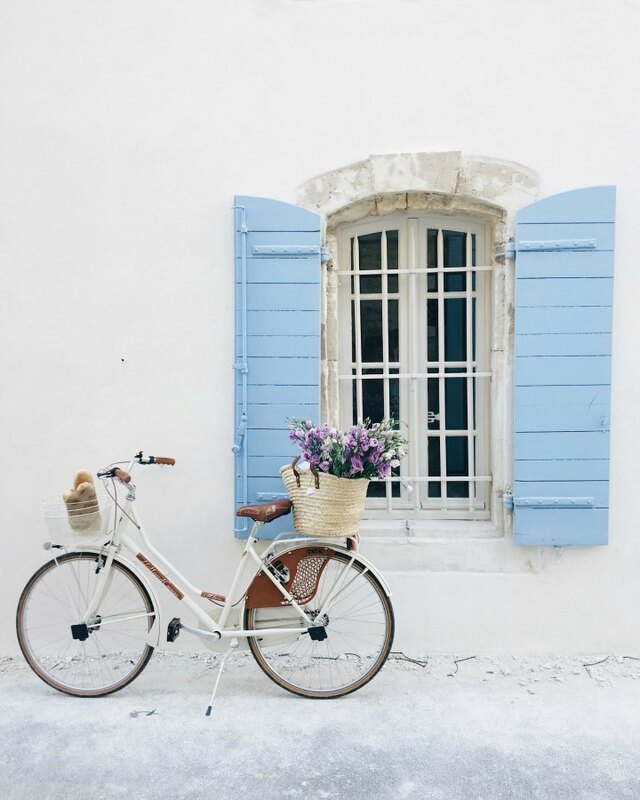 At this point in the post, I a daydreaming about the perfect baguette, French flea markets, and riding around town in a sweet bicycle LIKE THIS or even a beachy tricycle in an amazing French-y green like THIS. Can you smell the lavender? Rustic French farmhouse exterior inspiration. Shhhhh…the green shutters only look original.. They were custom made locally. 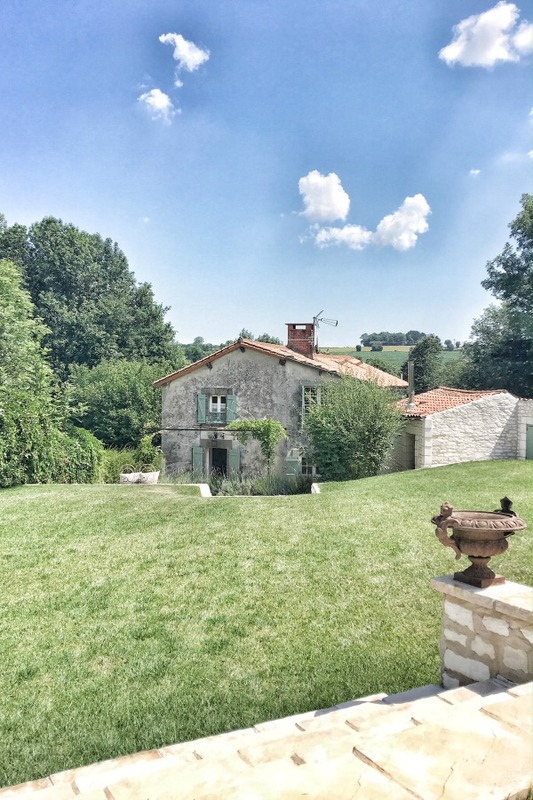 150 year old French farmhouse in Deux-Sèvres. Photo: Vivi et Margot. French Farmhouse Design Inspiration. Such a romantic dining spot! Tablecloth. Photo: Vivi et Margot. Maison de Vacances check linens at Vivi et Margot. Charming and fairy tale backdrop for memories to be made by a young family in rural France. The French countryside in summer is hard to beat. Photo: Vivi et Margot. 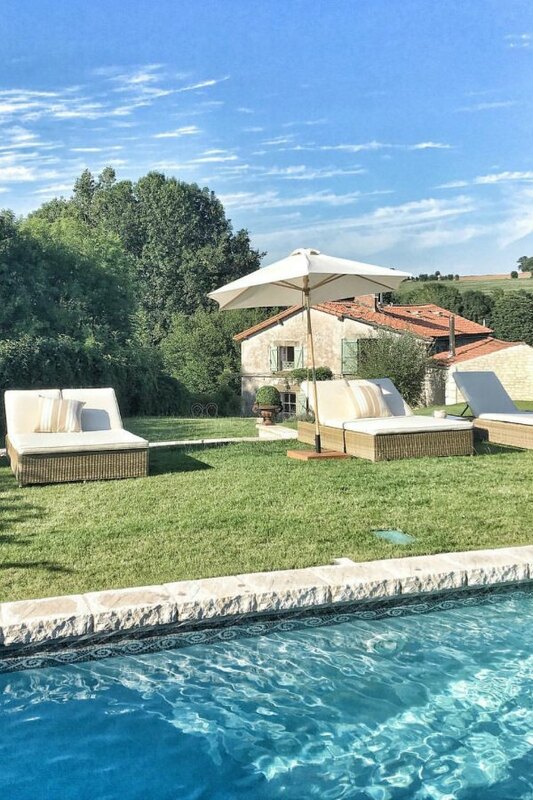 Poolside lounging at a French farmhouse in Western France. Check Tablecloth (Maison de Vacances Blush Check)…FIND HERE. Outdoor dining furniture: Maisons du Monde (France). Find similar rattan dining chairs RIGHT HERE. French farmhouse living inspiration. Isn’t the rustic stone amazing? French farmhouse kitchen design inspiration. Photo: Vivi et Margot. Custom artisan pendant lights: Vivi et Margo…FIND HERE. Check Tablecloth (Maison de Vacances Blush Check)…FIND HERE. Kitchen design by Neptune Kitchens. Kitchen cabinet color (Neptune – Limestone). Antique reclaimed terracotta tile floor. Table: Neptune. Chairs: Maisons du Monde (France). Oyster basket filled with stunning blooms in the kitchen window! Photo: Vivi et Margot. 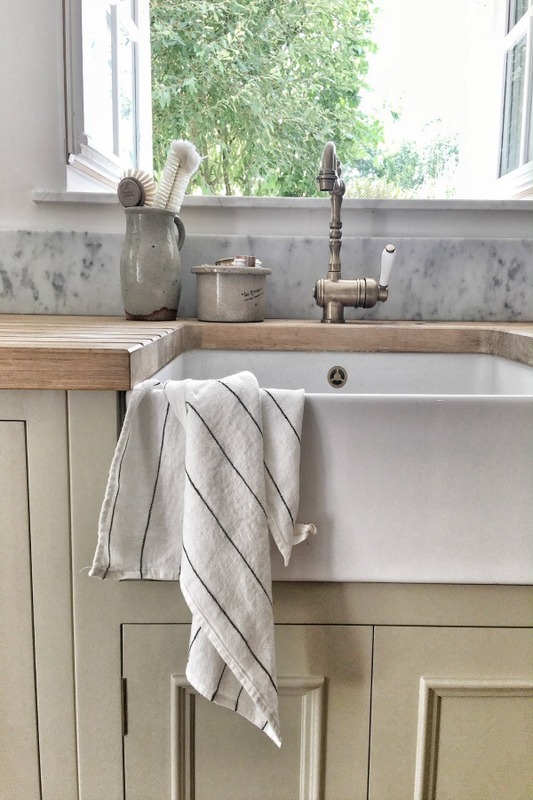 Farm sink and French farmhouse kitchen design inspiration. Photo: Vivi et Margot. Kitchen design by Neptune Kitchens. Check Tea Towel: Vivi et Margot. Kitchen cabinet color (Neptune – Limestone). For a lovely apron farm sink option GO HERE. Kitchen faucet: Cuissimo. Find similar…RIGHT HERE. Maison de Vacances Aqua Check Linens. 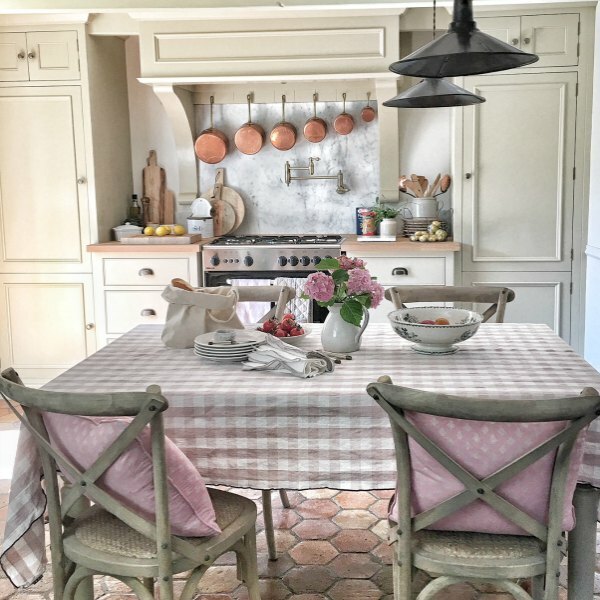 French farmhouse kitchen design inspiration. Photo: Vivi et Margot. Baskets: Vivi et Margot. Artisan Light: Vivi et Margot. Kitchen design by Neptune Kitchens. Kitchen cabinet color (Neptune – Limestone). Wall paint color: FARROW & BALL Strong White 2001. Antique reclaimed terracotta tile floor. Table: Neptune. Chairs: Maisons du Monde (France). Find a lovely farmhouse table RIGHT HERE and similar wood chairs RIGHT HERE. For a lovely apron farm sink option GO HERE. Kitchen faucet: Cuissimo. Find similar…RIGHT HERE. Paint colors for interiors throughout the French farmhouse: FARROW & BALL. 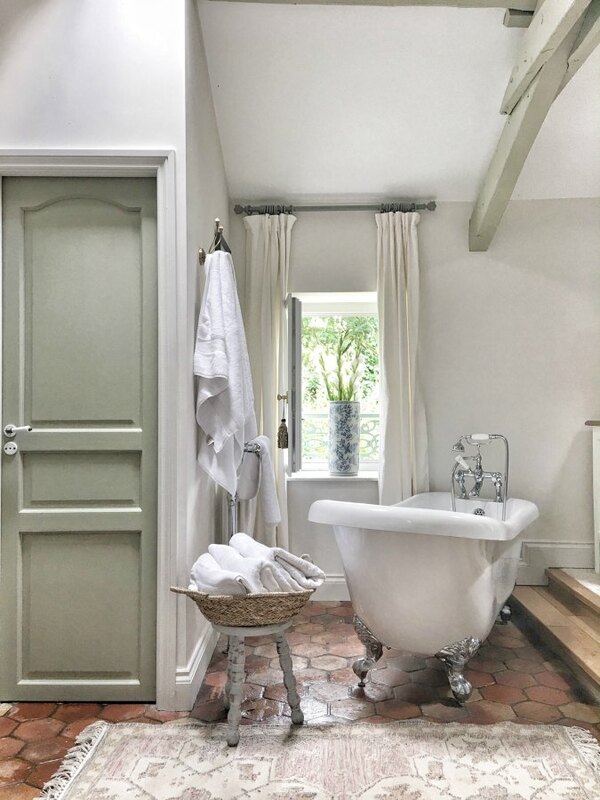 Woodwork, doors, and beams: FARROW & BALL French Gray. FARROW & BALL French Gray. A soothing green grey. French Gray is really much more green than grey, but characterfully flits between the two depending on the light and time of day. Taking inspiration from French design and wallpapers used in the 19th century, it creates the most relaxed of rooms. 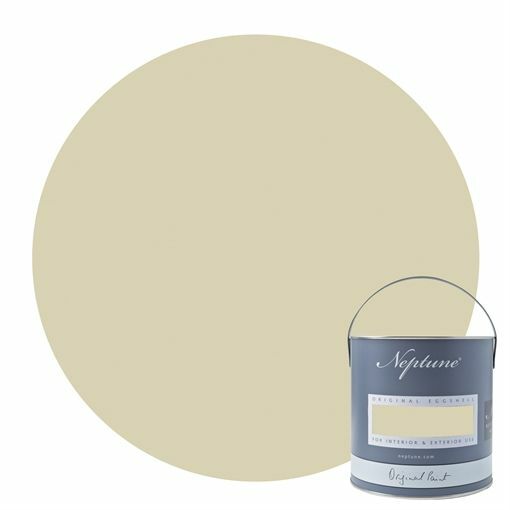 This soothing hue is perfect for exterior woodwork and a particular favourite for front doors in our matte Exterior Eggshell, or garden furniture where it sits seamlessly amongst the greenery. 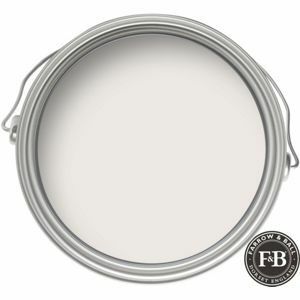 Interior walls: FARROW & BALL Strong White 2001. FARROW & BALL Strong White 2001. A grey based white. This cool white is both strong by name and strong by nature. One of our Contemporary Neutrals, the subtle urban feel of its light grey undertones add a contemporary twist to period homes, while staying in keeping with modern properties. Pair with Skimming Stone, Elephant’s Breath and All White in any combination for an effortlessly cohesive scheme. Ceilings: FARROW & BALL All White. No. 2005. FARROW & BALL All White. No. 2005. A totally pure white All White is exactly what it says! Unusually, it contains no other pigment except for white, creating the softest most sympathetic colour without the colder blue undertones of a brilliant white. One of our Contemporary Neutrals, All White pairs seamlessly with Skimming Stone and Strong White for a warm scheme with a slight edge. For a clean and almost graphic finish, contrast with fresh, strong tones like Pitch Black and St Giles Blue. 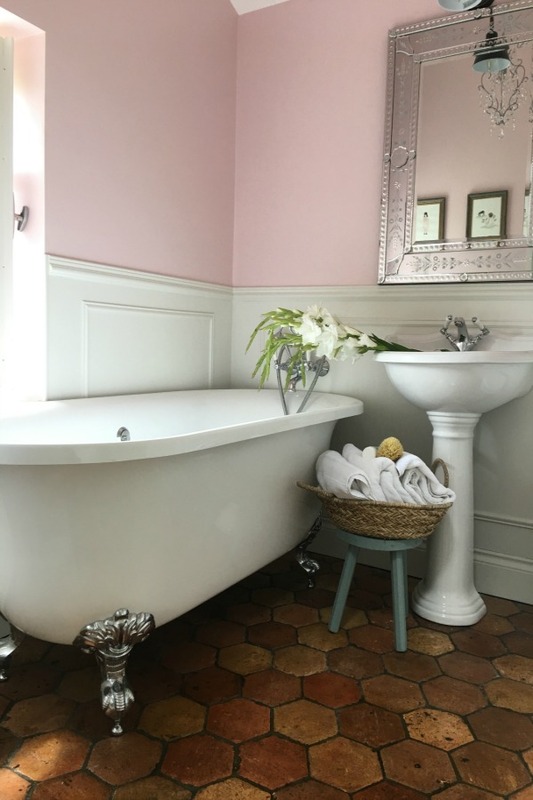 Girls’ Bathroom: FARROW & BALL Middleton Pink No. 245. FARROW & BALL Middleton Pink No. 245. A delicate pink. Our prettiest and most delicate pink was named after the discerning colourist, Catherine Middleton. This light pastel tone is fresh and uncomplicated, especially when contrasted with All White for a gently playful feel. Try pairing our Middleton Pink with Great White for a slightly cleaner urban finish. Paint color of shutters: TOLLENS Vert Olivier (satin) purchased at Castorama. This is a traditional French exterior paint color very popular in France. 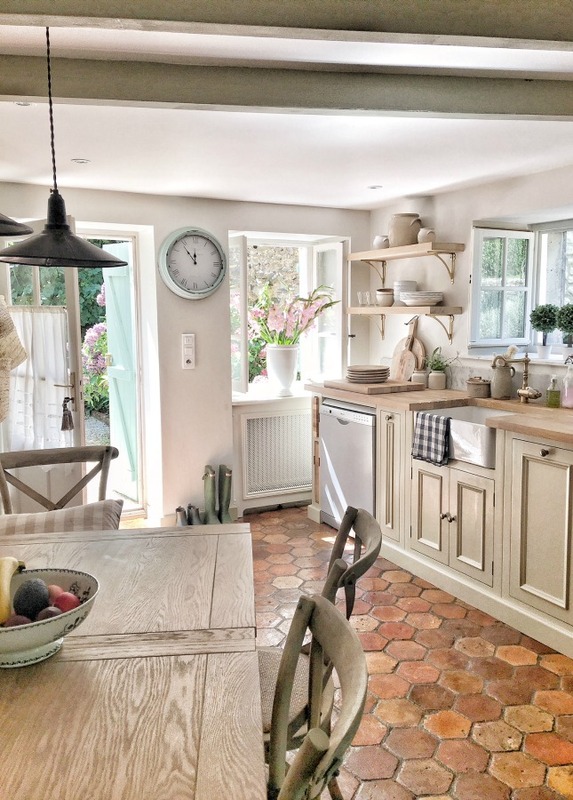 French farmhouse kitchen design inspiration…certainly lovely indeed! Photo: Vivi et Margot. Check Tea Towel. Artisan Light: Vivi et Margot. Kitchen design by Neptune Kitchens. Kitchen cabinet color (Neptune – Limestone). Wall paint color: FARROW & BALL Strong White 2001. Antique reclaimed terracotta tile floor. Table: Neptune. Chairs: Maisons du Monde (France). 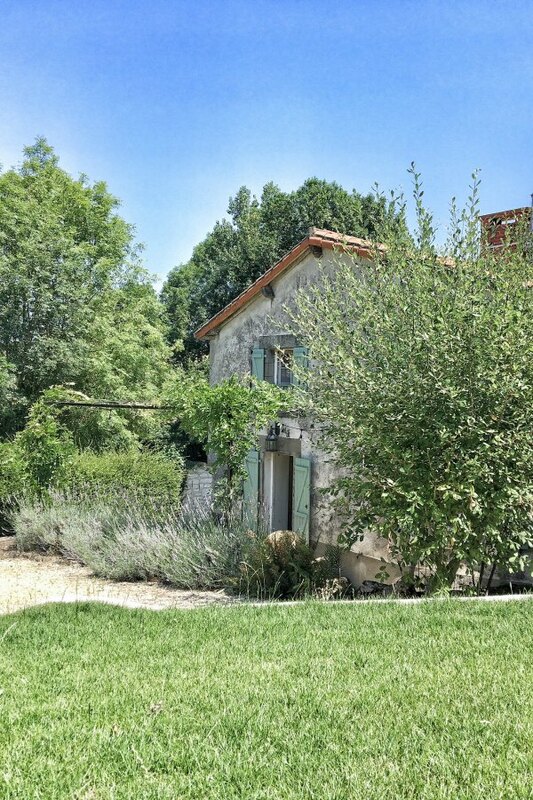 Charming and rustic 150 year old French farmhouse in Western France. Photo: Vivi et Margot. Shutters: Custom-made and new, made locally. Patio Furniture: Maisons du Monde (France). Find similar rattan dining chairs RIGHT HERE. See this full bathroom tour in Part 2. Fully renovated French farmhouse bathroom with clawfoot tub. Photo: Vivi et Margot. Rug: Rejuvenation. Relaimed antique terracotta tile flooring. Paint color on door: FARROW & BALL French Gray. Wall paint color: FARROW & BALL Strong White 2001. Towels, Soaps, Accessories: Vivi et Margot. Clawfoot bathtubs and faucets: Hudson Reed: FIND HERE. Find more LOVELY TUB OPTIONS RIGHT HERE. Master Bedroom Dressing Room! We tour it in Part 2, French farmhouse fans! All Drapery: Pottery Barn (Beligan Flax Linen drapes). The beauty continues in PART TWO of the tour right here. 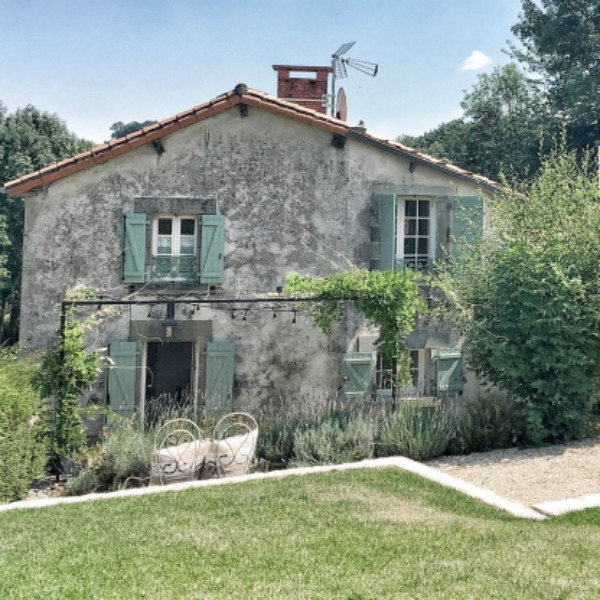 You will love the French farmhouse shopping nirvana that isVivi et Margot! And do visit their instagram RIGHT HERE. Don’t miss the exceptionally beautiful TIMELESS EUROPEAN COUNTRY HOUSE TOUR of Chateau Domingue’s founder, Ruth Gay! Wood Flooring Options: Engineered or Hardwood? Previous Post Traditional Interior Design Ideas: What’s to Love? 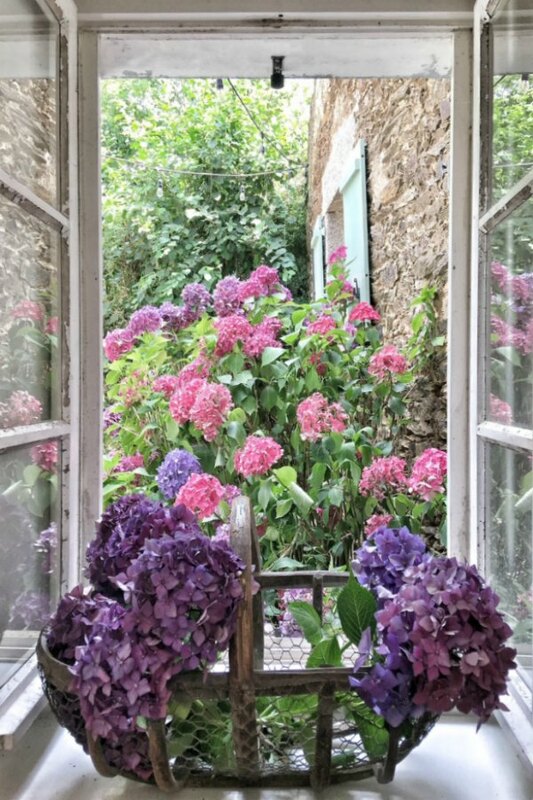 Next Post Beautiful French Farmhouse Design Inspiration! Oh my – 1 of each please! Maybe even 2 of some . VivietMargot !!!! Michele you have a gift for finding the most lovely. Thank you. What a dream come true! It’s a sin to be jealous but jealous I am. Love her decorating choices and the fact that her husband can build anything she can dream up. Can’t wait for the next post. Ohhhh myyyy goooodnessss! This is a house with so much inspiration! I am bookmarking the link for future reference as well as a when I need a ‘virtual tour’ of the French country side. I am dreaming of going to France for a few days!! It is yet some 5 years ago we went to the French Provence, and by seeing this gorgeous post of you, I would love to pack right away!!! Isn’t it charming and romantic!?! Can’t wait to hear about it – wish I was going too! 🙂 Peace to you, Greet. I’m blown away! This is so perfect!!!! I watch House Hunters International all the time and think, wouldn’t it be great to do that? They’ve done such a beautiful job. This is absolutely stunning house! I adore that kitchen and thank you so much for the resources. Can they provide what type of wood and stain they used for their countertop? Everything I have seen locally is an awful yellow tone. This has such a rich natural look and a slight grayish tone. I bought a tiny house and this is perfect. Thank you! 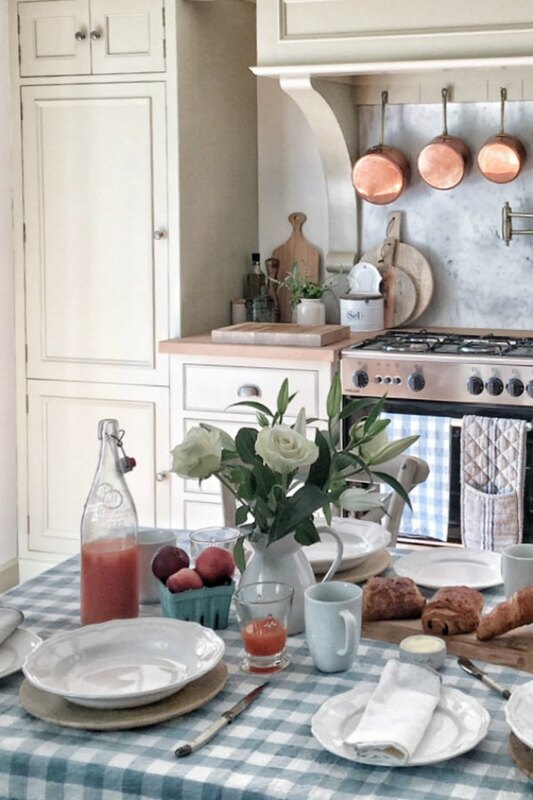 The owner is Charlotte who has the online shop Vivi et Margot – you could message her on instagram here: https://www.instagram.com/vivietmargot/?hl=en or you could contact Neptune Kitchens who did the kitchen design (cabinetry) and may have done the counters too. For the look you may be after, perhaps consider mixing a grey stain with a natural stain. Many folks don’t realize stains come in a whole range of colors. We stained a pine deck a light driftwood and it appeared aged, weathered, and natural. Hope this helps.